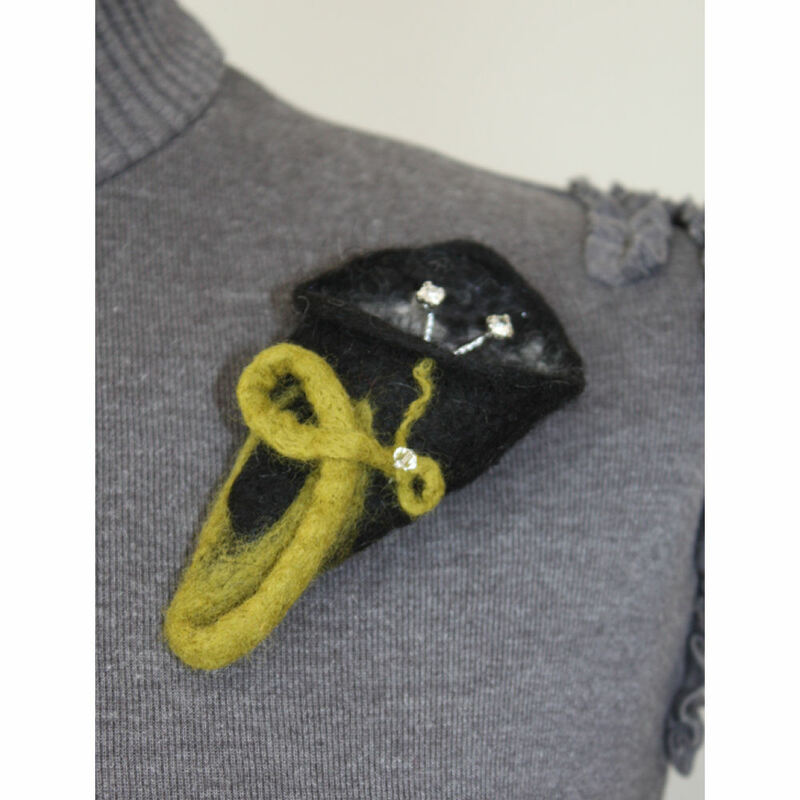 “That old black magic” is a stunning cala lily type hand felted flower corsage. Made using the wet felting method, using raven black merino wool fibres, with added detail from wool slubbs and sparkly angelina fibres. A lichen green stem twists its way around the front of the lily, along with a hand sewn facetted glass bead.. This can be worn on a coat lepel, blouse, scarf or hat…… wink and cast a spell!